Population: 9,500. Oatley is located 21 kilometres south of the Sydney CBD and is part of the St George region. A peninsula on the Georges River, it lies across the local government areas of the City of Hurstville and Municipality of Kogarah. The suburb is named after James Oatley, a convict clockmaker who arrived in the colony in 1815 to serve a life sentence. When he was pardoned in 1821 he received several land grants amongst which were 300 acres near the Georges River in the area that later took his name. The Oatley Town clock was unveiled during the 150th Anniversary Celebrations in 1983 as a tribute to the village’s namesake. Oatley consists of a wide range of housing including prestige waterfronts, high calibre family homes, quaint Californian bungalows and a number of three-storey unit blocks and villas close to the Shopping Village and Railway Line. The shopping centre retains an attractive village feel and the area hosts a number of quality restaurants and cafes. The diverse style of housing offers a cross-section of residents, with its main emphasis being a family way of life. 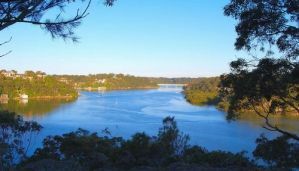 There are a number of local bush parks surrounding the suburb with the main attraction being Oatley Park (oatleypark.com), boasting 45 hectares of the most significant areas of bushland remaining in the St George area. The Oatley Flora and Fauna Conservation Society (off.oatleypark.com) is active in the fostering and protection of the area’s natural environment. The local RSL Club boasts an active Youth Club (cluboatley.com.au/youth-club.php) as sports and recreation are a way of life in Oatley. The Oatley Lions Village Festival (oatleylions.org.au/oatley-festival) and Oatley West Public School Art and Craft Show (artcraftowps.org.au) are held annually and the area is also lucky enough to have its own public library (librarygateway.com/libraries/index.php?lib=1075) and fully equipped gym (bodyhealthfitness.com.au).